Yesterday announced the Slovenian Polona Bonač on Facebook with touching words the death of Mudi Šja. Šja has entered the Rainbow Bridge at the age of 15 years. As sad as this message is, the more important is it to keep the beautiful memories alive. That’s why we look back on a full and lively dog life on and beside the agility field. Run free little Šja. I honestly thought you are going to make it one more time, because you did it so many times already and I can’t even remember or imagine life without you. You were at my feet through faculty and my first job(s), travels, parties, my happy and sad days, my heartbreaks and successes. You were my quiet shadow, ALWAYS by my side. The easiest dog to have around. The one with the cutest eyes. The smartest one. The most patient and kind one. You got me hooked on agility and oh, it was so easy for us. So many AWCs, so many EOs, so many brilliant runs wins and podiums. You were so funny with your little quirks and crazy moments. So special. So mine. No matter what happened, I would come home, crawl on the couch with you in a perfect spoon, listen to your breathing and I know everything will be ok. And now the couch is empty. SO SO empty. Run free little mouse. Thank you for being such a fighter for me. I know you tried for as long as you could but the time is just never right. 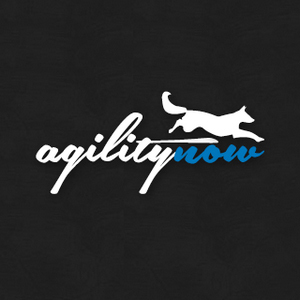 At Agility, the two were some of the pioneers of modern agility sports as we know it today. Not only the running contacts were revolutionary at this time. The way Mudi Šja and Polona Bonač were speeding over the courses was also extraordinary. The glamorous career began in the year 2005 with the second place at the European Open and the first World Championship participation. The big breakthrough succeeded in the year 2007 with the title of the European Open and another World Championship participation. From there the team was on everyone’s lips and reached the climax of the career. A year later followed the first national title as Slovenian champion. A further European Open title was denied, albeit very scarce. 2011, the two were in second place. The great success of world championships has remained, but seven world championship participations speak for themselves. The sport was one side, the daily life the other. There, Polona Bonač had to find out very quickly that with Šja was an extremely intelligent female drawn into the house and soon was no light switch safe from her. But pressing the light switches was just a little trick of many others. On the own homepage there is a beautiful anecdote of Polona Bonač: «After learning how to turn the lights on and off, I had a very uncomfortable light show for a while. It took some time until she gave up, and realized that she should only do it once before we go to bed». Within a short time she learned new tricks and also dealt daily problems with a lot of Cleverness. RIP Sja! Thanks for many wonderful moments and thanks for these nice words here!